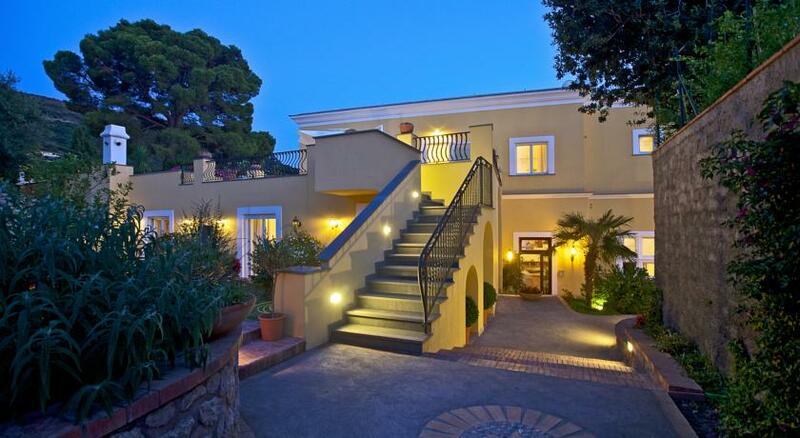 Hotel Villa Ceselle is a charming little hotel immersed in the nature but a few steps away from the center of Anacapri. It used to be a private villa and it has recently totally renovated, so you’ll enjoy all the modern comforts, air-con and wi-fi included. 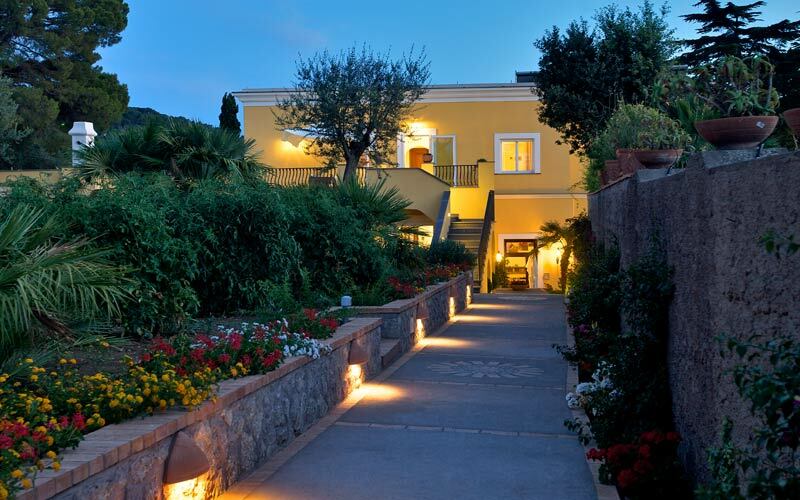 The atmosphere is immediately magic: once you enter the gate, you’ll walk along a path flanked by perfumed lemon trees, leading to the villa, which is totally surrounded by a garden of green grass, with coloured flowers, lemon and orange trees. 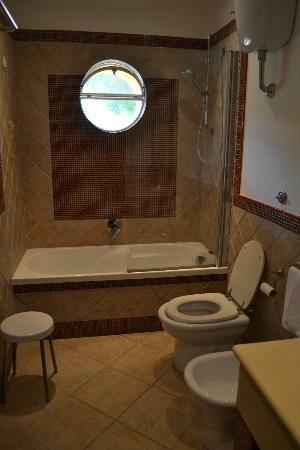 If you are lucky, you’ll get a room on the ground floor, with a French window to the garden, so that when you wake up in the morning, you can immediately breathe the fresh air. All is silent and you can only hear the birds songs or leaves moved by the breeze. 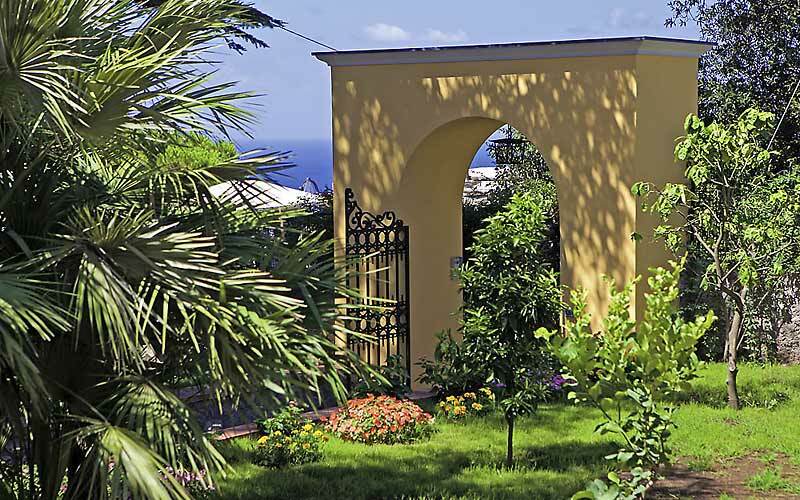 Otherwise, you’ll probably end up on the first floor, in a room with a view on the sea…not bad as an alternative to the garden, don’t you think? 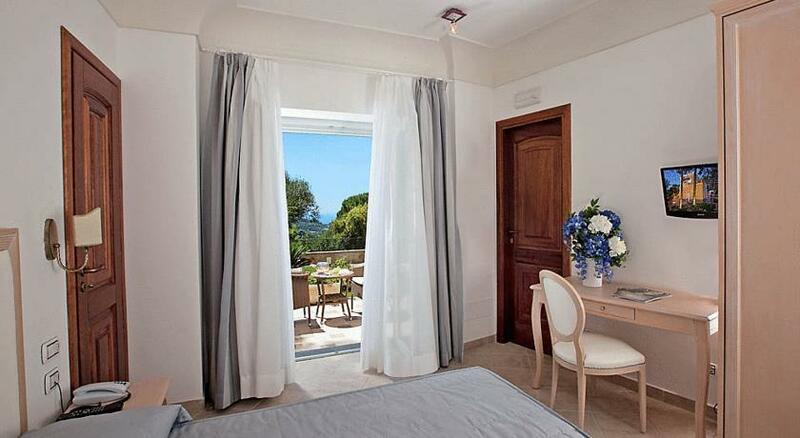 The rooms are furnished using soothing neutral tones, to let you stay in a relaxing atmosphere, and feature the elegant vaulted ceilings and arches, typical of Capri’s traditional villas. Though a 3 stars hotel, the standard is very high, the environment extremely pleasant and with all the facilities you may need. The staff is extremely kind and supporting: if you don’t know how to plan your trip, ask at the concierge, they will suggest you the best tour of the island according to your available days! That’s what we did, indeed, and we were very satisfied.